They are looking very ponderous and thoughtful here. It seems that every few months, I become obsessed with a new band or artist that’s already famous to most humans and their household pets. Last summer, it was Elton John. February break, it was Gavin DeGraw. Spring break, it was the Red Hot Chili Peppers. 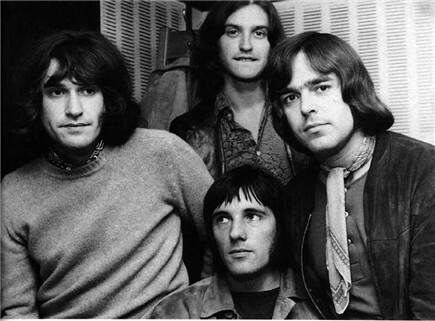 But as I’ve delved into the wonderful world of British Invasion-era bands, I’ve recently fallen deeply in love with the Kinks. I’ve enjoyed their music for a long time, but since I heard a couple of their songs on the radio last week, I’ve listened to them more than ever before. They are not completely unlike the Beatles, but they definitely have their own, distinctly British sound. There are so many things about them that I love, so I’ll list a few of them here. 1. They are (in my opinion) extremely underrated. Sure, I like bands like Led Zeppelin and Queen a lot. They’re great. But I honestly feel that their overall musical output is just a tad over-celebrated. However, the Kinks, for some reason, are not on as much of a lauded pedestal as many other bands (yes, the Beatles are very lauded and celebrated, though deservedly so). I don’t know why this appeals to me, I guess I just like the idea that they are not as “mainstream” popular. And I always root for the “underdogs” of rock who never seem to get the accolades they deserve. Like George Harrison! 2. Ray Davies. Need I say more? I’ve basically been listening to the Kinks nonstop for about three days, and I can safely say that I haven’t discovered a Kinks song I don’t like. I finally understand why Ray Davies is considered, as my dad has been telling me for years, a musical genius on par with the Beatles. His lyrical style is honest and accessible, but also clever, witty, and often amusing. I also love his voice, because it’s very different from any of my other favorite singers. Variety is, after all, the spice of life! His songs are very melodic and easy on the ears, but they also make me stop and think about life. And his utter British-ness is, to me, very appealing. Just watch this video and you’ll see what I mean. 3. The Kinks invented a whole lot of things. I did not know this, but apparently the 1965 Kinks song “See My Friends” is the actual first pop song credited with Indian influence, BEFORE the later, sitar-flavored “Norwegian Wood (This Bird Has Flown)” on the Beatles’ Rubber Soul. Now that I listen to it, I definitely hear it. Take a listen for yourself! Also, their first big hit, “You Really Got Me,” is commonly recognized as one of the first proto-metal and punk songs because of its power chord structure and overall rawness. I’m not really into metal as a genre, but this is definitely one of the best harder rock songs of the early sixties. 4. They wrote my favorite rock Christmas song. I listen to this year-round, with no shame whatsoever. It’s a really great song! Now that I’ve introduced the Kinks on this Beatle blog, I will at some point in the future describe my favorite songs by them. In the meantime, I need to actually go through their discography in detail beyond their greatest hits compilations. I refuse to be an uneducated fan for long! I’m also praying that the supposedly confirmed reunion album and tour between Ray and Dave will actually happen. How awesome to see these legends together in concert! One can only hope they will put aside their differences long enough to make their fans happy. The Beatles, still fab after 50 years! We love them, yeah yeah yeah! 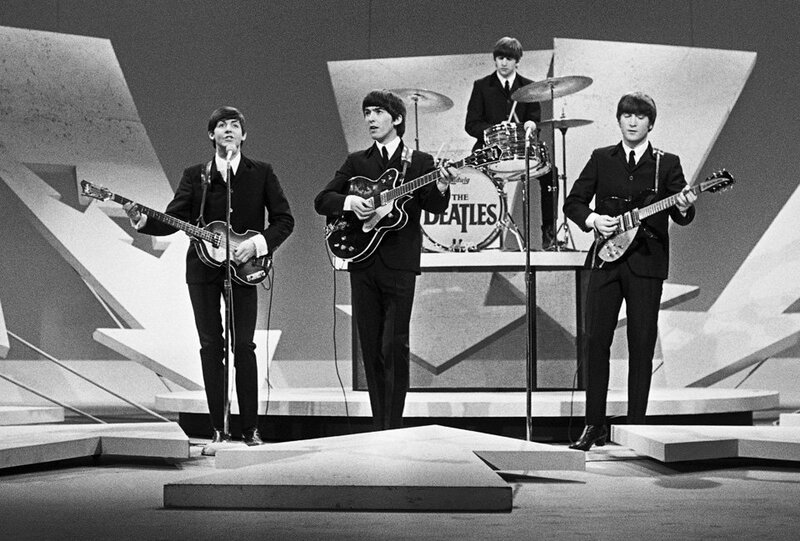 So I wanted to wait until after I watched the televised special commemorating the 50th anniversary of the Beatles’ appearance on Ed Sullivan to do a blog post, but now that it’s over, here I am! Overall, I thought it was a wonderful tribute. It had a good mix of old and new musicians, and while I didn’t really care for some people (why did Katy Perry oversing Yesterday??? Why did the Imagine Dragons do a boring version of Revolution??? ), I enjoyed it very much. My favorite performances were probably Jeff Lynne, Dhani Harrison, and Joe Walsh doing “Something” and Dave Grohl and Jeff Lynne doing “Hey Bulldog.” Both were done respectfully and not with too many vocal runs or falsettos or any of the annoying things that modern pop singers love to do. I also thoroughly enjoyed Eric Idle’s frequent Rutles name-drops and commentary on each of the Beatles’ childhoods. I had no idea he would be involved, so this was definitely a pleasant surprise! But of course, Paul and Ringo (and John and George) were the stars of the show. Throughout the broadcast, the cameras frequently cut to Paul singing along or Ringo doing some air drumming, and I got the impression that they were rather touched by the whole extravaganza. 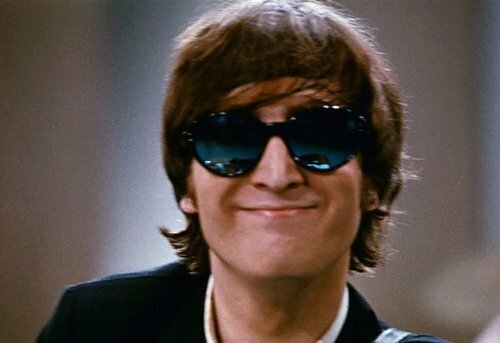 It made me so incredibly happy to see Paul grinning with delight as Stevie Wonder sang “We Can Work It Out” or Ringo sang “Yellow Submarine.” It must be nice to be so loved by the entire world for half a century! Paul and Ringo’s performances were also wonderful! 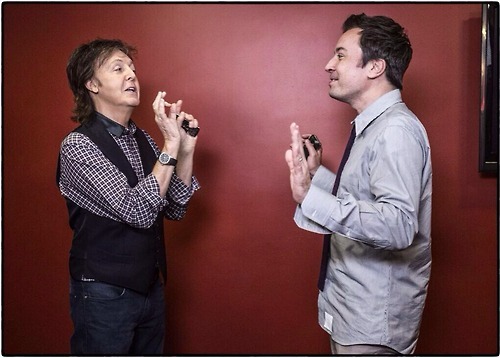 Ringo sounded great as always, but Paul really sounded AMAZING!!! I mean, he rocked the house! I was singing along as he and Ringo sang With A Little Help From My Friends together and as he played Hey Jude to close the show, and I think I had a tear in my eye at the end. Seeing everyone from the show together onstage showing how much they love the Beatles and seeing all of the audience members dancing and singing along reminded me once again why the Beatles are still so revered today. Their music makes people love life, and that’s something that I don’t think will ever go out of style. From seeing another fabulous Fab Four concert with my friends last night, to listening to a celebratory Breakfast With The Beatles this morning, to watching the TV special tonight, my weekend was filled to the brim with Beatleness. And I wouldn’t want it any other way! In case you missed the special, here are some brief interview clips with David Letterman, Paul, and Ringo that were shown during the program. Wow, what a great weekend to be a Beatles fan! I feel so fortunate to have even lived at the same time as two of the Beatles, and I know that while they were never together while I was alive, their music will live in my heart and the hearts of millions of others for 50 more years and beyond. Long live the Beatles!